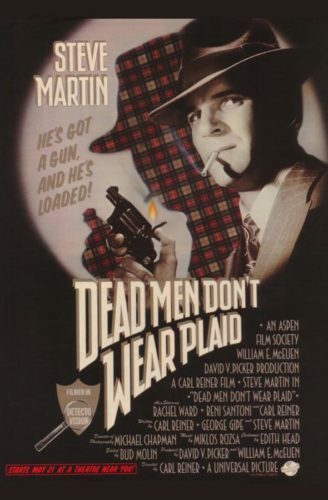 “Dead Men Don’t Wear Plaid” is a 1982 comedy-mystery film directed by Carl Reiner. Starring Steve Martin and Rachel Ward, the film is both a parody of and a homage to film noir and the pulp detective movies of the 1940s. 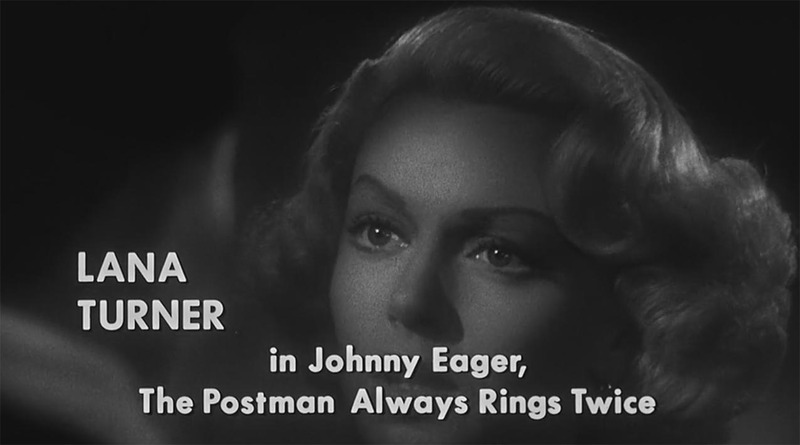 The name of the film itself parodies the enigmatic titles of the hard-boiled detective story series of Cool and Lam, by pulp writer Erle Stanley Gardner under the pen name A.A. Fair. 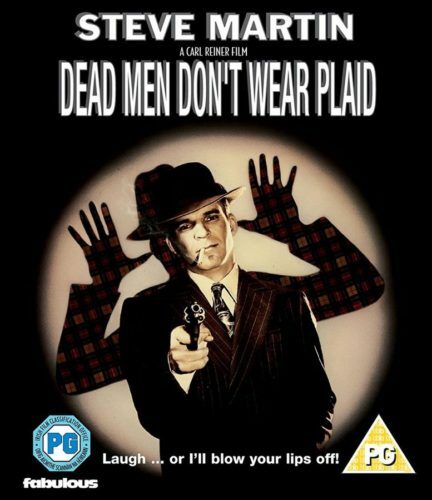 Edited by Bud Molin, “Dead Men Don’t Wear Plaid” is partly a collage film, incorporating clips from 19 vintage films. 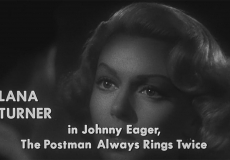 They are combined with new footage of Martin and other actors similarly shot in black-and-white, with the result that the original dialogue and acting of the classic films become part of a completely different story. 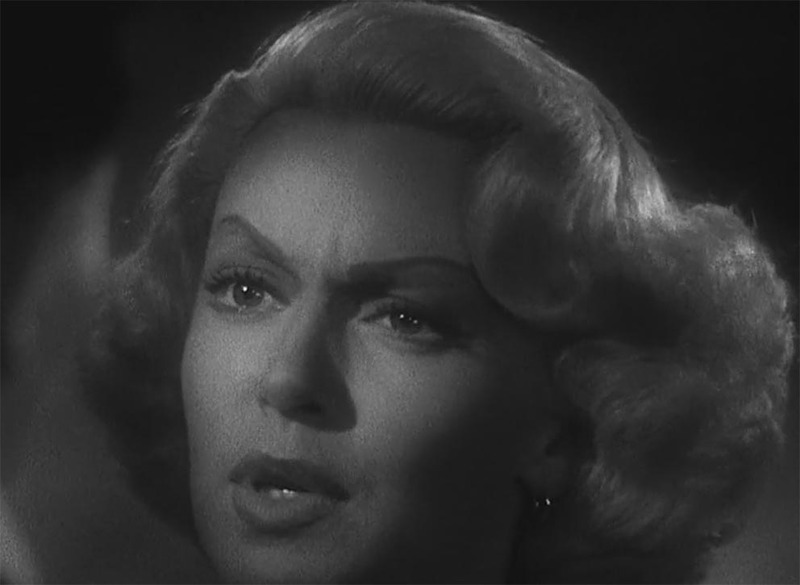 Among the actors who appear from classic films are Ingrid Bergman, Humphrey Bogart, James Cagney, Joan Crawford, Bette Davis, Brian Donlevy, Kirk Douglas, Ava Gardner, Cary Grant, Alan Ladd, Veronica Lake, Burt Lancaster, Charles Laughton, Fred MacMurray, Ray Milland, Edmond O’Brien, Vincent Price, Barbara Stanwyck and Lana Turner. 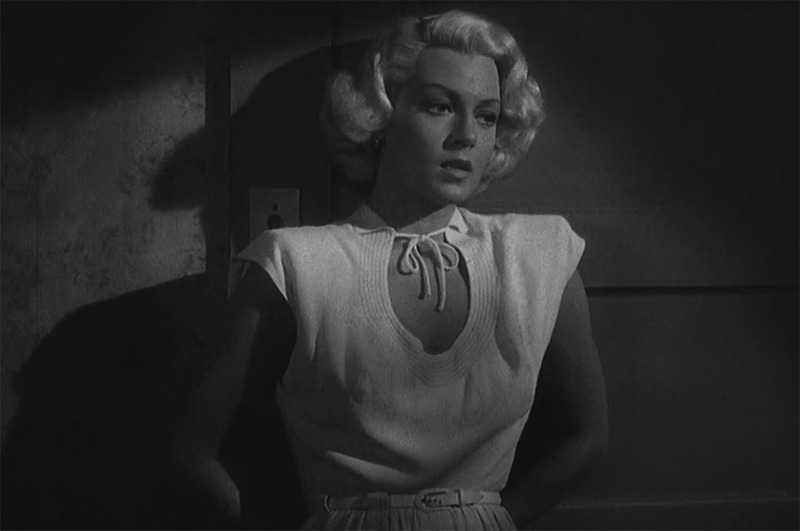 This was the last film for both costume designer Edith Head and composer Miklós Rózsa. 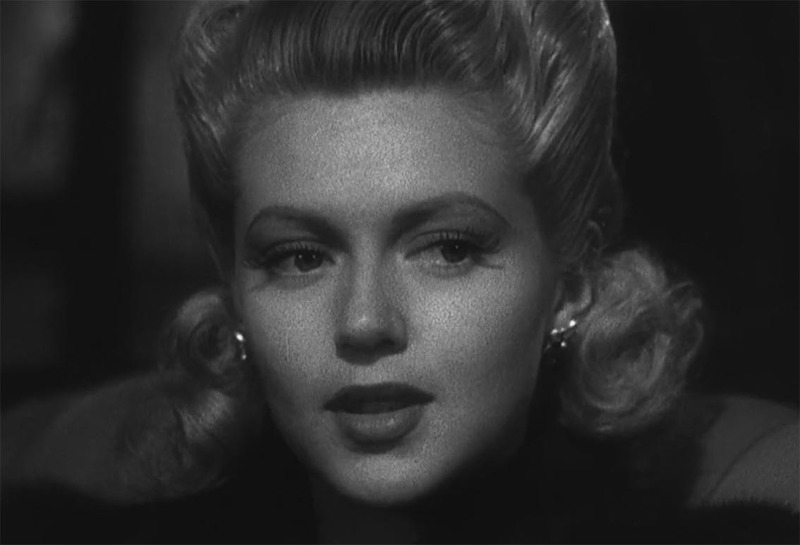 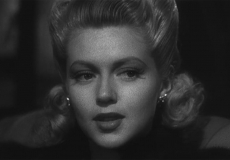 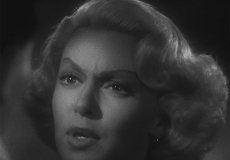 The film includes parts from the Lana Turner films “Johnny Eager” and “The Postman Always Rings Twice“.